Utilizing techniques from Emotion Focused Therapy, Transpersonal psychology, Attachment Theory and Humanistic approach. Through the therapeutic relationship, I assist clients develop increased ability to tolerate and manage intense emotions, process and express emotions and communicate their needs. By utilizing various techniques, I am able to guide clients through their inner process and they are able to expereince higher level of awareness and emotional change. Clients are able to feel more in control of their lives, have greater ability to engage in their relationships in a healthy way and are able to cope with daily stressors and challenges. By focusing on strengths, personal growth and understanding, clients can confront their barriers and fears, follow their path and experience relief and freedom from their symptoms. I specialize in treatment for developmental and interpersonal trauma as well as addiction and recovery. I am culturally sensitive to issues related to immigration and adjusting to a new culture. Contact me today to start your journey! 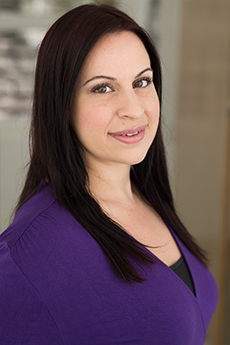 My name is Lital Shvarts and I am a clinical psychologist practicing in Hollywood, CA. I specialize in treatment for adults and couples struggling with various symptoms inculding anxiety, depression, adjustment issues, PTSD, relationship issues, trauma, eating disorders, substance abuse and personal development. Treatment is available in English and in Hebrew.